This renovated, 19th Century, two-room cottage, located on a private road on scenic Nobska Point is cozy and quiet. It's a three minute walk to a private beach with a bath house, ten minutes from Woods Hole Village, and convenient to the bike path between Woods Hole and Falmouth Center. There is a tennis court on the property. Smooth soled shoes only please. The living room has a galley kitchen, a dining area and a pull-out couch. 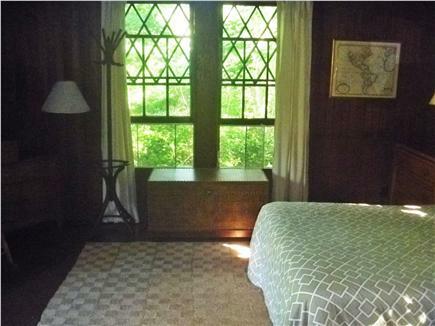 The bedroom has a queen sized bed and a bathroom with a shower. 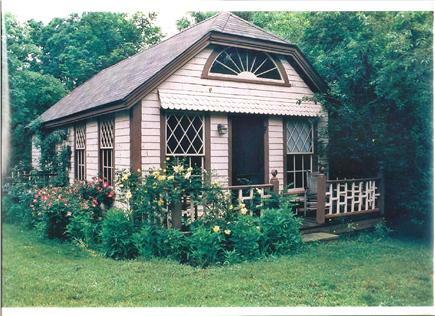 This is a true rose-covered cottage - or it is if you come in June or early July. There also are several gardens on the property. Best for a couple or a single, but it can accommodate four if they are good friends. There is no telephone or television, but there is wireless available. Additional availability info: 50% deposit required. 50% refund up to 21-14 days cancellation. No refund within 7 days. This is a Saturday to Saturday vacation rental. Additional pricing info: A damage deposit of $250 is required, State and local taxes of 12.45% will apply. We thought this property was amazing. 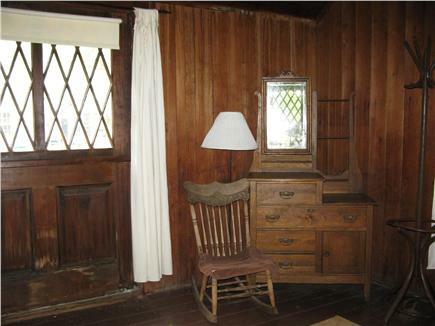 This darling little dollhouse is set on an incredibly beautiful piece of property and has everything that you need! There are two spacious rooms, (the living room includes a kitchenette). The space is well curated and comfortable. The owner is lovely and personable. We thought it was perfectly delightful. 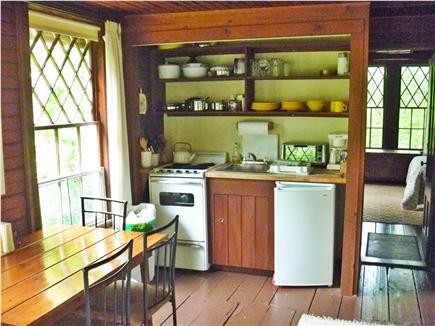 We rented this adorable cottage for a week at a time for 5 summers -- it was the perfect spot for 2 adults wanting to get away from it all. 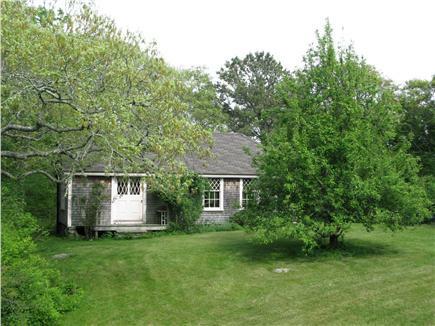 Its location is ideal -- you are on a quiet, secluded property with gorgeous grounds, but can walk to Woods Hole, the nearby access to the bike path,and it's a very short walk to Nobska Beach. We took your comment to heart and have put in a new queen and box spring. So come back and give it a try.